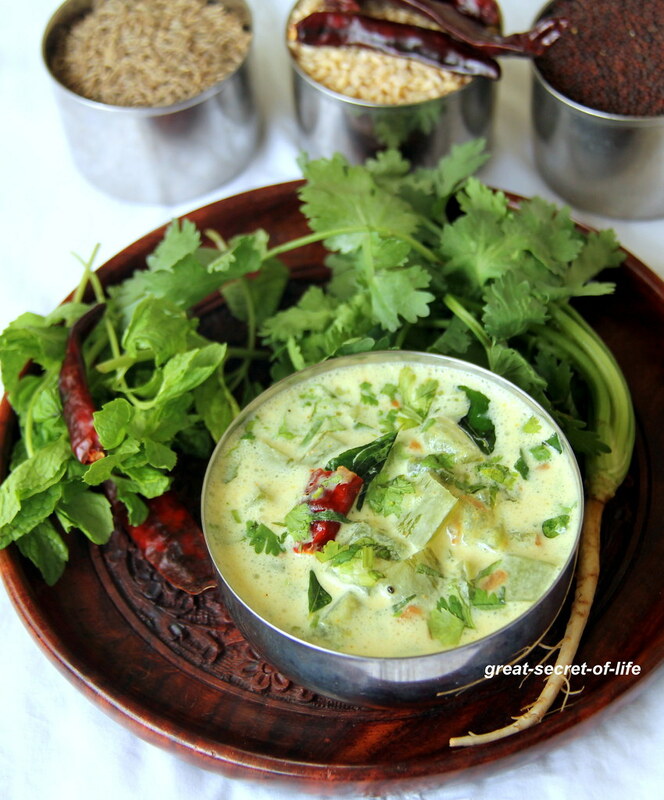 I love to try different kind of pachadi / raita esp with vegetables. 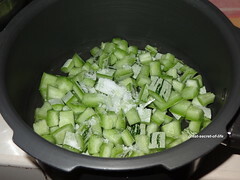 It is a good side dish for one pot meals. I am a big fan of snack gourd from my childhood. When I was searching my fridge for a vegetable used for raita I saw snack gourd and remembered the pachadi I had in one of the marriages. So I have decided to try it out. It came out nice. Pressure cook the snack gourd till 1-2 whistle. Keep it aside. 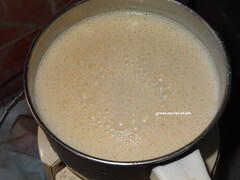 Beat the curd with turmeric powder, if you hv extra water from cooked snack gourd, cumin powder and salt. Heat kada / pan. Add oil. When it is hot add mustard seeds and let it pop. 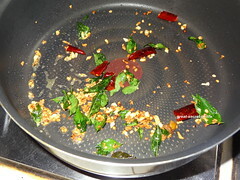 Add asafoetida, urad dhal, garlic and fry till garlic and dhal turns brown color. 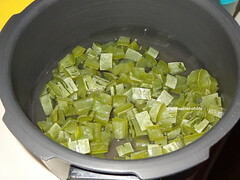 Add curry leaves and cooked Snack gourd. Fry for 1-2 mins. 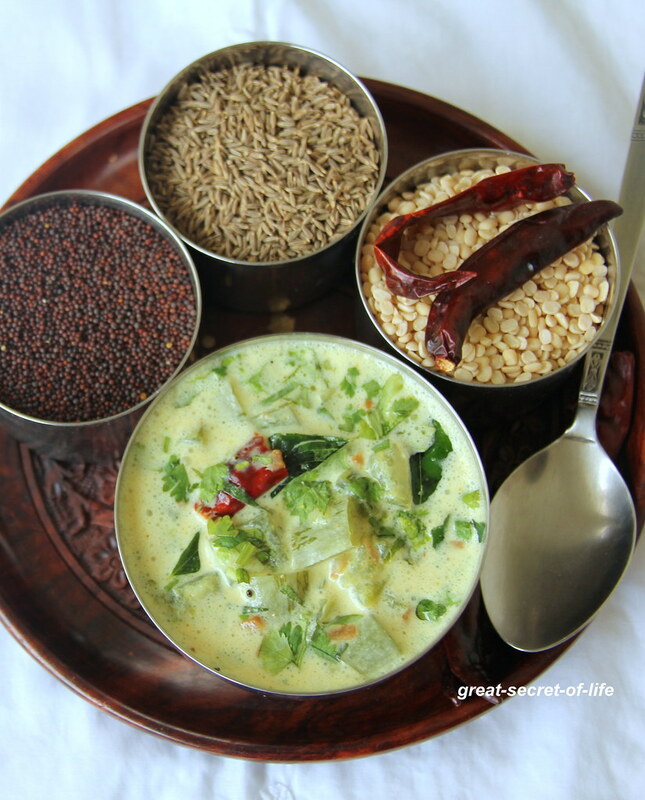 Switch it of and add beaten curd, Cooked snack gourd. Mix well. 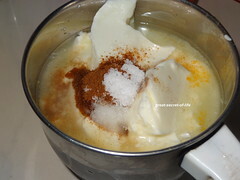 Healthy and quick recipe dear!! Oh wow!! Its so inviting. Never tried with gourd for pachadi but I have to say that I will asap. Healthy n easy pachadi..love it!! 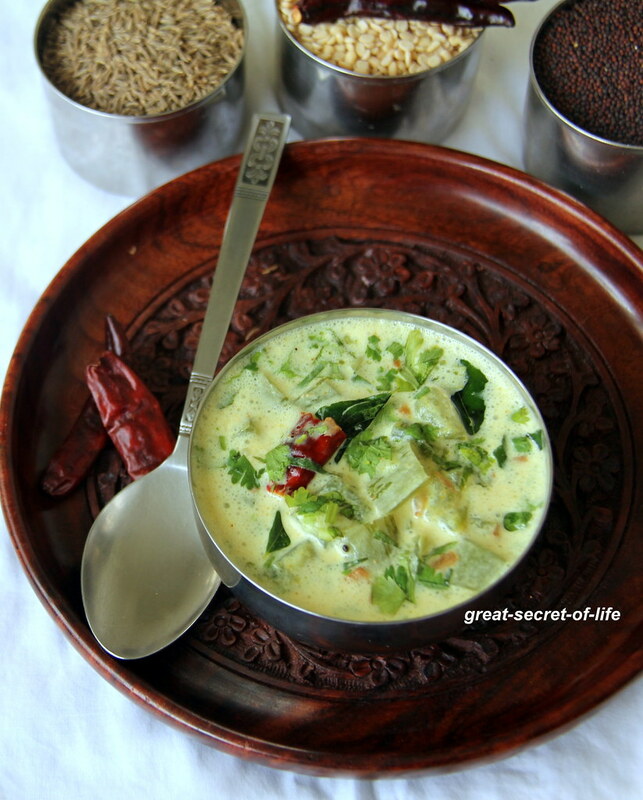 Never tried snake gourd in a pachadi, this looks so delicious.. 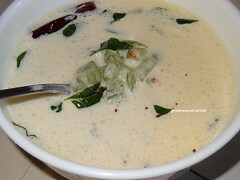 Very different and delicious pachadi..Quite inviting.